Wanna hear the same Blink-182 song over and over for 10 straight hours? YouTube may not have known exactly what it was unleashing when it raised the time limit on its videos from 10 minutes to 10 hours. The change allowed for longer, feature-length (and then some) productions to be uploaded to the popular video-sharing site. But it also inspired many users to create half-meditative, half-sadistic “loop” videos in which the same bit of footage is repeated ad nauseam for 600 consecutive minutes. Usually, these videos are strictly amateur creations, like “Keyboard Cat 10 Hours” and “Epic Sax Guy 10 Hours.” But these endurance-test videos are now so much a part of YouTube’s DNA that it was only a matter of time before they sold out and went completely mainstream as a promotional tool. Veteran pop-punkers Blink-182, with replacement guitarist Matt Skiba joining Travis Barker and Mark Hoppus, have released their own 10-hour looping video for the extremely brief song “Built This Pool.” It’s a surrealist stunt to promote both their upcoming album California, due for release on July 1, and a summer tour. The song, clocking in at about 15 seconds, is a hyper-catchy, Ramones-lite charmer. “I wanna see some naked dudes,” a refreshingly open-minded Hoppus sings. “That’s why I built this pool.” That’s the only message of “Built This Pool”: The song exists solely to deliver that couplet. No guitar or drum solos here, nor any bridge or chorus to take up additional time. The patient viewer who sticks with this video for all 10 hours should be able to hear it well over 2,000 times. Fans may use that opportunity to ponder the fact that “dudes” and “pool” don’t really rhyme very well. Luckily, the members of Blink-182 have also included onscreen lyrics for anyone who is really bad at remembering the words to songs. 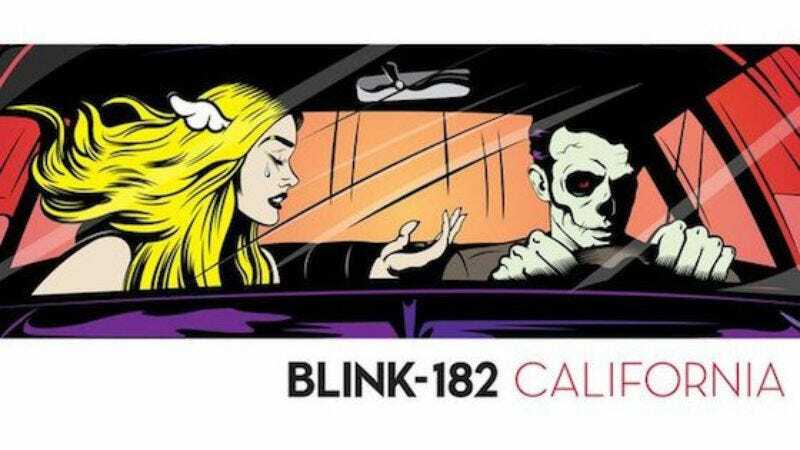 For those with other, more pressing commitments in their lives, the song is available for free download at Blink-182’s website.